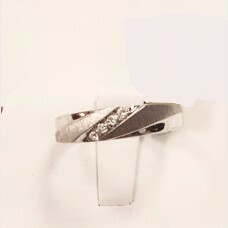 Unique sterling silver bracelet cuff with wave design from Italy. 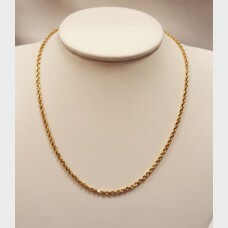 A true statement piece. 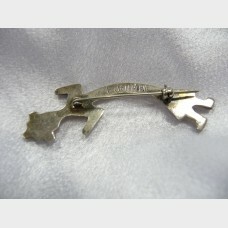 Bracelet w..
All OriginalCirca 1970'sGold Plated Jaeger Buckle on BandManual Winding Certified Pre-OwnedMiss..
Kachina Navajo Sterling Silver Pin Brooch by Felix Joe. 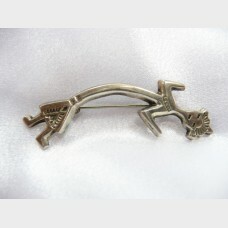 Rainbow man Brooch Pin. Pin measures out 2 1..
LaDea Bendata mesh braided sterling silver bracelet with clasp closure and stamped 925. 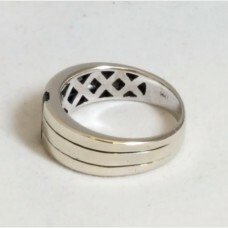 Unique state..
14kt 11.9 grams Approx 1.50ctw Visit our store - London Coin Galleries of Mission Viejo to se..
Men's 10K white gold with 10 small diamonds in the center of the ring. 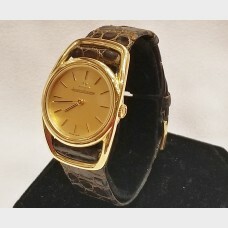 Weighs approx 3.8 grams. 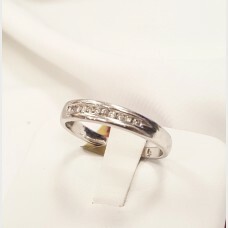 Ring..
Men's 10K white gold and diamond ring. 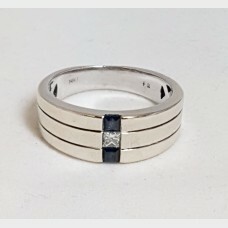 Has 4 small diamonds that run diagonal in the middle of it an..
Men's 14K simple white and yellow banded gold wedding band. The ring weighs approx 10.4 grams. The r..
Men's 14K yellow gold wedding band. 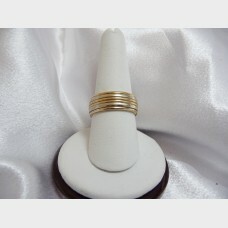 The ring weighs approx 6 grams. 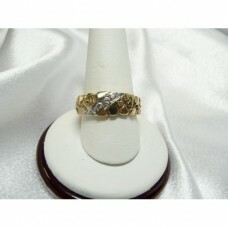 The ring is pre-owned and a size..
Men's 14K yellow gold wedding band with 3 small diamonds ~0.10 ctw. 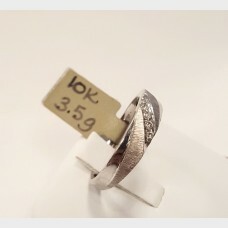 The ring weighs approx 7.7 grams.. 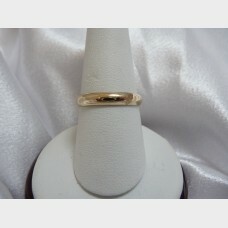 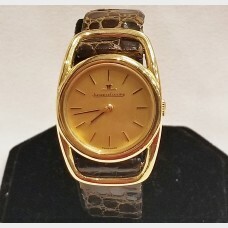 Simple men's 14K yellow gold band. 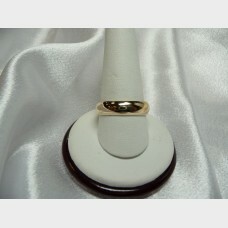 The ring weighs approx 2.9 grams. 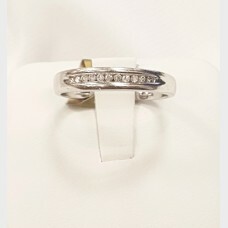 The ring is pre-owned and a siz..
Men's 14 kt white gold ring with diamond and black onyx center. 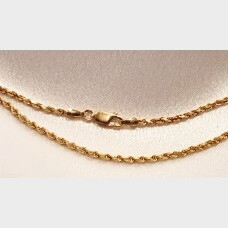 Diamond is approx .12 ctw and is a s..
Men's 14k yellow gold rope chain necklace. 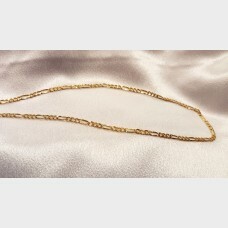 This pre-owned chain measures approximately 16 inches in ..
14k men's link yellow gold chain necklace. 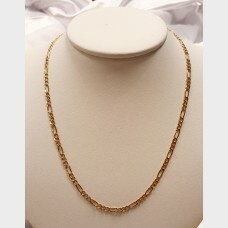 This pre-owned chain measures approximately 18 inches in ..